If you are searching for a new Android smartphone this is just the right time to do that. The ZTE Skate Smartphone has been priced in the UK and is being seen as a bargain. The smartphone is called the Skate and the device has a giant screen that looks quite like the HTC Desire HD in size. The Skate has a 4.3-inch screen. 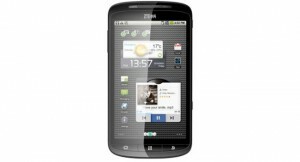 The smartphone runs Android 2.3 and it can be pre-ordered right now for £249.99, personally thats a bit pricey for me! The processor operates at 800MHz and it has a microSD card slot for storage expansion up to 32GB. The smartphone has 256MB of RAM and 512MB of ROM. The internal storage is a measly 150MB. The screen supports capacitive touch and the device is expected to hit the Orange pay as you go service. The Skate is about £200 cheaper than competing phones. It packs in WiFi and Bluetooth as well. UK etailer Clove will ship the phone sometime in September. The big screen has a resolution of 800 x 480.